There is data everywhere. 5 of my last 10 articles were based on data and I know that my regular readers love the articles that are based on data so I am writing about data again today. Objective Management Group (OMG) recently expanded the Consultative Seller competency which represents 1 of the 21 Sales Core Competencies. I took a look at the first thousand rows of data that came through and made some more cool discoveries that I will share below. Let's start with the Consultative Seller Competency. 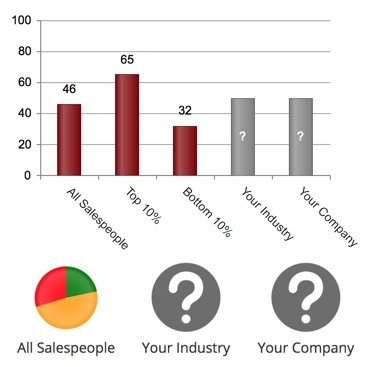 As you can see in the image below, the average score for all salespeople is 44%, which means that the average salesperson possesses fewer than half of the necessary attributes of the Consultative Seller. As you can see from the green slice of the pie chart below, only 22% of all salespeople have this competency as a strength. Even the top 10% of all salespeople only score an average of 65%. This is the competency where most salespeople are the crappiest. The question is why are most salespeople so ineffective at this competency? If they aren't being professionally trained and coached, that would explain a lot of the bad scores because only around 7% of all sales managers are capable of providing the kind of coaching that would help their salespeople become effective consultative sellers. I'm guessing that even some outside trainers and coaches aren't effective enough to move the needle on this competency. But there is more to this than meets the eye. Let's look at what happens when salespeople are being effective versus ineffective at consultative selling. There's a huge difference between a business issue and a compelling reason to pay to solve it. Uncovering compelling reasons to cause prospects to believe they must have your solution requires advanced active listening and questioning skills, as well as Sales DNA to support its use. 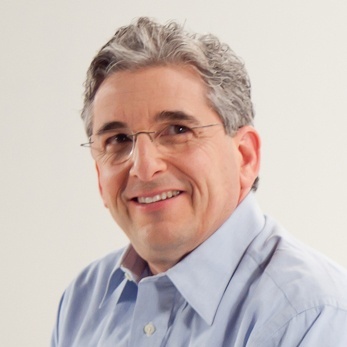 The best trainers, coaches and consultants who offer their expertise in this area agree that it will usually take 8-12 months for a sales team to make the transition from where they are today to the kind of selling I described above. However, the return on that investment of time and money is amazing! When salespeople are finally able to sell in this manner, sales always sky rocket!